Birthdays are a day I delight in making my children feel special! 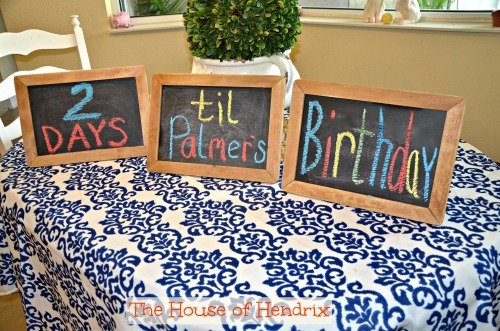 The House of Hendrix blog just celebrated its 1st Birthday. Our most popular post over the past year was surprisingly not the post on Girlfriends, but rather 20 Ways to Fill Your Child’s Love Tank of their Birthday! This tells me that there is a universal desire to make our children feel loved. So today I am sharing more ideas…Part 2 so to speak. 14 More ways to fill your child’s Love Tank on their Birthday. (Disclaimer: I do not do big birthday parties with extensive decorations, party favors, and games….anymore. My focus had become about making the party guests feel welcome and comfortable, more than my child. So I now use the time and energy I would have spent on party planning, and create a day that will delight my children doing wacky and memorable stuff that I hope fills their love tank….but I desperately miss and fully appreciate the creative detail of a good party. So please keep inviting us to yours!)1. 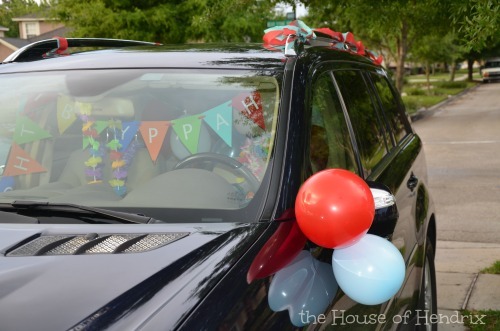 Remember in the first post when we decorated the outside of the car with window markers saying “HONK, It’s my Birthday”? Well, lately we’re focusing instead on the inside. 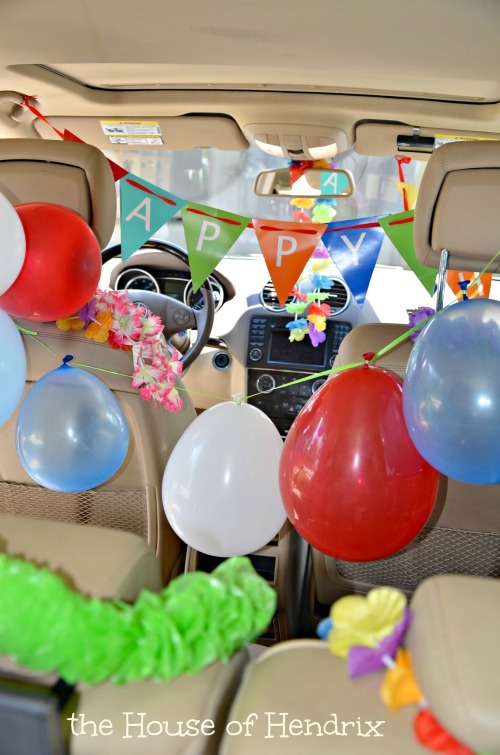 Simply throwing a few Hawaiian leis over the head rests adds a festive touch. This is such a simple way to bring a smile to your child’s face…particularly in carline when surrounded by their friends. That’s right. It’s the first thing a boy does in the morning, so why not start the birthday off right. I quickly printed a picture of my son on copy paper, taped it to seat, and wrote a message with dry erase markers. I even squirted blue toilet bowl cleaner in there for festive blue water. What does your child do right after school? Decorate whatever it is. The moment we get home, my children head outside. You could imagine my son’s squeal on his birthday upon seeing the trampoline! It was such an unexpected mid-afternoon surprise! Do you have an older child with a cell phone? 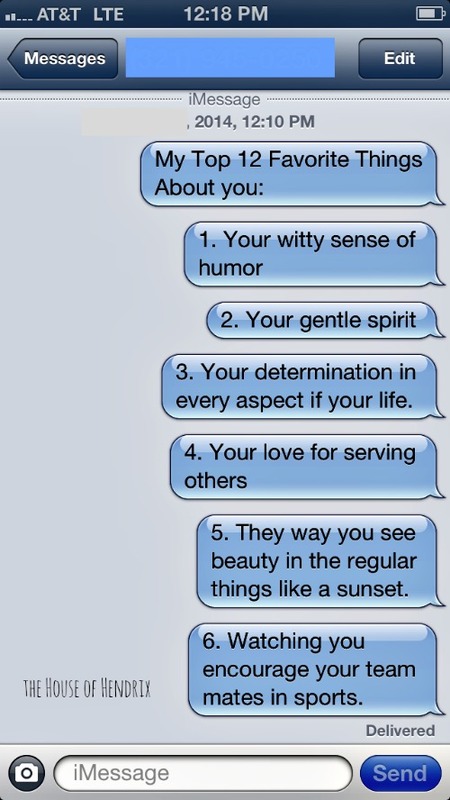 Send him/her an initial text entitled “Top 14 Favorite Things About you”. Send one every hour so they are staggered throughout the day. Obviously change the # based on their age. Top 18 for their 18th birthday. I have even done Top 50 for a beloved girlfriend. This not only adds an element of excitement, but prolongs the gift opening experience. Kids follow a streamer to their first gift. They open it and then continue following the streamer to the next gift….and then the next. Because this is so much fun, I wrap small things like chapstick and packs of gum to extend the experience. It is the “scavenger hunt” my kids remember more than the presents. 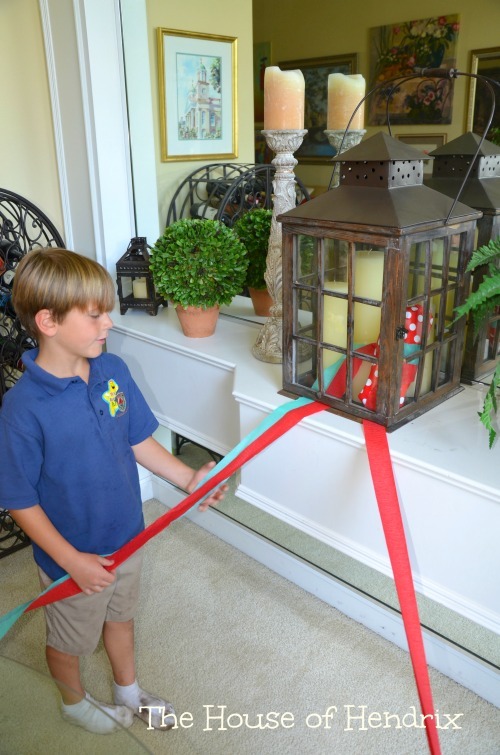 You can also use string (below), a pretty ribbon or rope to guide your child around the house. When my sweet friend, Kourtney Street, recently turned 40, her front yard was attacked by messages of love and encouragement from her friends. Talk about filling somebody’s Love Tank! I am adding this to my MUST DO list asap. We took our tradition of wrapping the items in the lunch box one step further. Now they need to POP THE BALLOON to get the surprise. Not sure how the teachers feel about this one. Kids love to see their new number! I love this idea from Martha Stewart of creating a number out of candles and balloons. 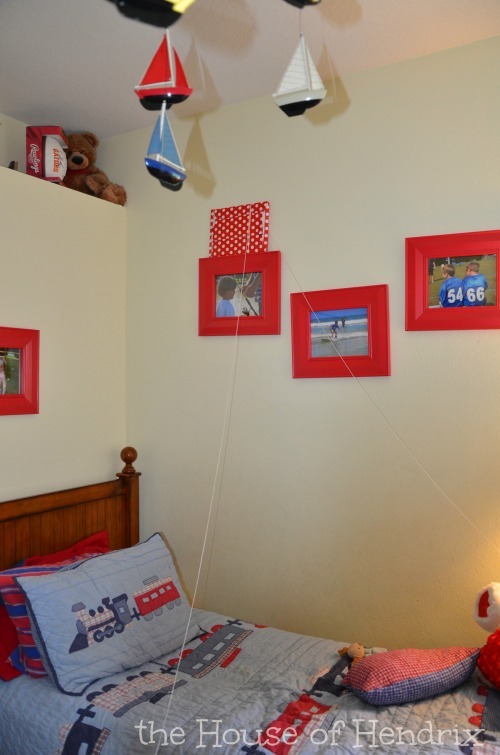 Use double-sided tape to adhere balloons to a wall. Balloons Everyday creates these Giant Numbers for the yard. You can DIY with an aluminum rod. We are constantly trying new ways to count down. The kids love changing the numbers as each day draws closer. Our family loves to use the Photo Booth camera on our computer to make video’s for people on their birthdays. Sometimes we pretend to be normal and simply sing Happy Birthday. But more often than not we will pick a pop song, change up the words, dress up ridiculously, and make a Birthday rendition. Except we have no talent. That’s right, not everybody gets a birthday party. Many families have financial limitations which is why I nearly jumped out of my seat when I read this next idea over on my friend Courtney DeFeo’s blog. 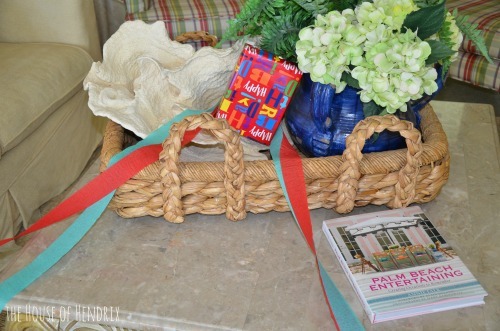 Her guest writer Deanne, shared the concept of a Birthday Bag (here). Let your children help plan a birthday party for a child who otherwise wouldn’t have one. Let them pick out cake mix, iciing, plates, table clothes, candles, party favors and balloons. Make a special birthday card and even throw in a Target gift card. Then donate the bag. This is an idea I hope spreads and spreads. Thank you Courtney and Deanne. How does this make your child feel special on their birthday? Just try it and watch. 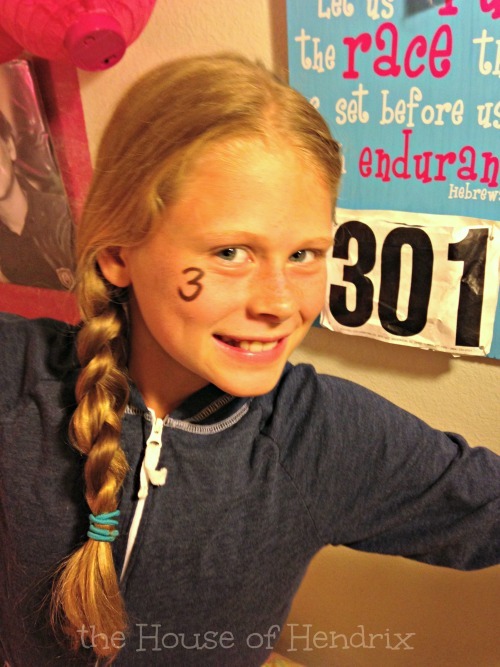 Serving others makes kids feel purposeful, needed and special….even on their birthday. A few years back my daughter incorporated service into her birthday party, taking her friends corn picking for the homeless. You can read a guest post I wrote on that here. My children never get tired of hearing stories about when they were younger…sticking their face in their 1st birthday cake…holding their baby brother for the first time…crawling out of their crib in the middle of the night to sleep in their sister’s bed. They love it! Crave it. At the end of the day though, the most important thing we can do for our children is to communicate in words and affection how much we ADORE being their mommy, and how deeply and unconditionally loved they are. That connection with you is what fills a Love Tank. The rest is just fun. Click here to read “Part 1: 20 Ways to Fill your child’s love tank“. Pinterest boards to check out: Celebrations, All Things Kids, Intentional Parenting, and of course The House of Hendrix board. I also invite you to join our community and receive future posts below. Hahaha! Love these ideas! Love the video! I am definitely going to use some of these for my daughter’s 5th birthday! What amazing ideas! I love all of them! So creative and affordable and most of all fun!! Thanks Kristie. I’m so glad you like them. The smile on my children’s face makes it worth it. Taking the party in a bag one step further, when I went to college 1800 miles away from home, my mom sent me the best kind of care package: a party in a box. She sent my favorite cake (carrot cake), candles, streamers, balloons, pretty much everything we would need for a party. Shoot, I skimmed by the party in a bag. My apologies! I totally missed that it’s for a needy child. But I *love* this idea! I love that your mom did that Aimee. I also adore the care package in a box. Im totally pulling that out of my box for college. I think it’s awesome awesome that you teach your children to love beyond measure for everyone. May God bless you and your family! Im sitting here late into the early morning hours of my sons birthday wishing I would have read this earlier in the week. I cant wait to start some today and all next year. Love it! Wow, as a foster parent, I LOVE these ideas!!! 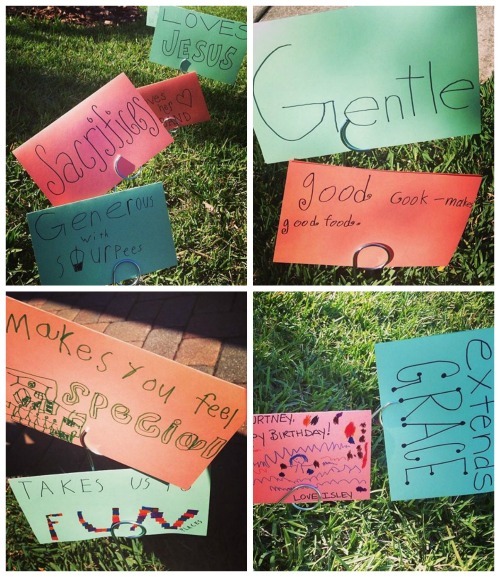 What an awesome way to make our kids feel loved and special. I cannot WAIT to use several of these ideas in a couple of weeks! I love the birthday in a bag idea! What type of agencies do you donate them to? We are in a small town and I can’t seem to locate anywhere. You can contact your local YMCA for ideas of local charities or even if there is Big Brother/Big Sister program. Churches in the area might be able to tell you what is around as well. I’m trying some of these out for my sister’s 10th birthday-so excited! I hope she feels special Claire. You are a thoughtful sister! Hey Miss Allison Hendrix! I just wanted to tell you that this post is super cute! We love it. My Name is Kim Allen and I work for the balloon company you copied the balloon numbers from. We so appreciate your recognition, i just noticed though on the caption on the picture it states Balloons Everywhere. We are in fact called Balloons Everyday. I am the assistant to the company owners and we just wanted to let you know. We also know that it does go right to our website which is also great that you did that. Again we appreciate the recognition! We love our customers so much! 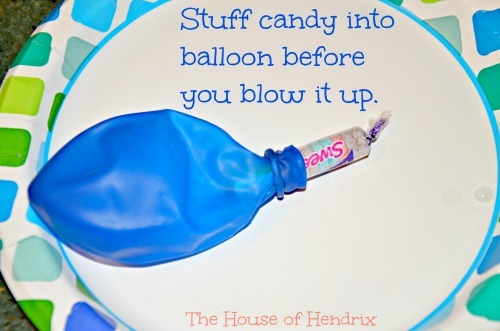 So happy to include your adorable balloons in this post. I love the giant numbers so much! I hope you have gotten some good traffic. I switched Everywhere to Everyday, sorry about that. Have a great day! Hey Allison. Not a problem. We definitely appreciate you including us on your Blog. It is way cute! We love what we do and our customers.Again Thanks so much! We appreciate all the recognition you have given us! Have a Great Day as well! wow, love your idea of ‘party in a bag’. Even a small party is overwhelming for parents who can’t afford it. I’m getting my kids to create one for our local food bank as part of one their homework challenges. Going to spread the word on this one! I love that idea too. I actually heard about it on my friend Courtney Defeo’s blog. It totally stirred my heart. A party in a bag is simply one of those simple things we can do to make a huge difference on a child’s special day. Thank you for passing this along. My daughter turns 8 next week. I love the ideas you gave! I wrote 4 of them down to do for her 🙂 Thanks! Happy Happy Birthday to your daughter. Hope the ideas delighted her! Pingback: ViperFUN » » 18 Surprise Birthday Ideas For An Unforgettable Special Day. Pingback: SpinPing » » 18 Surprise Birthday Ideas For An Unforgettable Special Day. 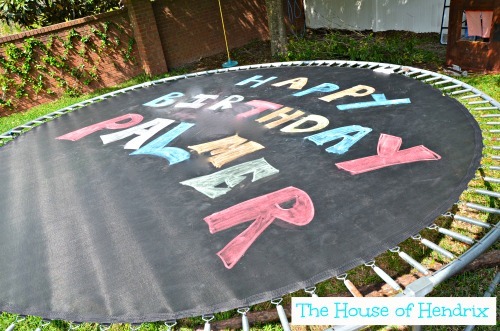 Great ideas for my kids next birthday, thanks Allison! 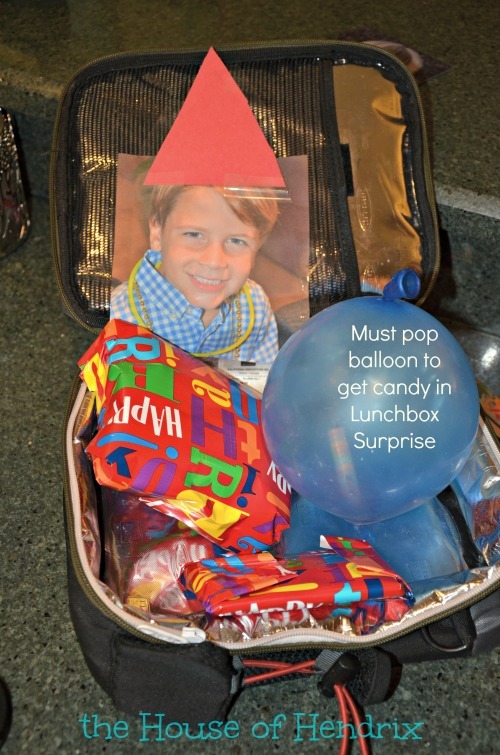 Best ideas.I am also very excited for celebrating my kiddo’s birthday.The ideas given are really exciting.Liked the Build excitement with count down.It will really make my child feel special.Also the party bag for needy is nice idea.